Silver Gray Pearl color is just exquisite! 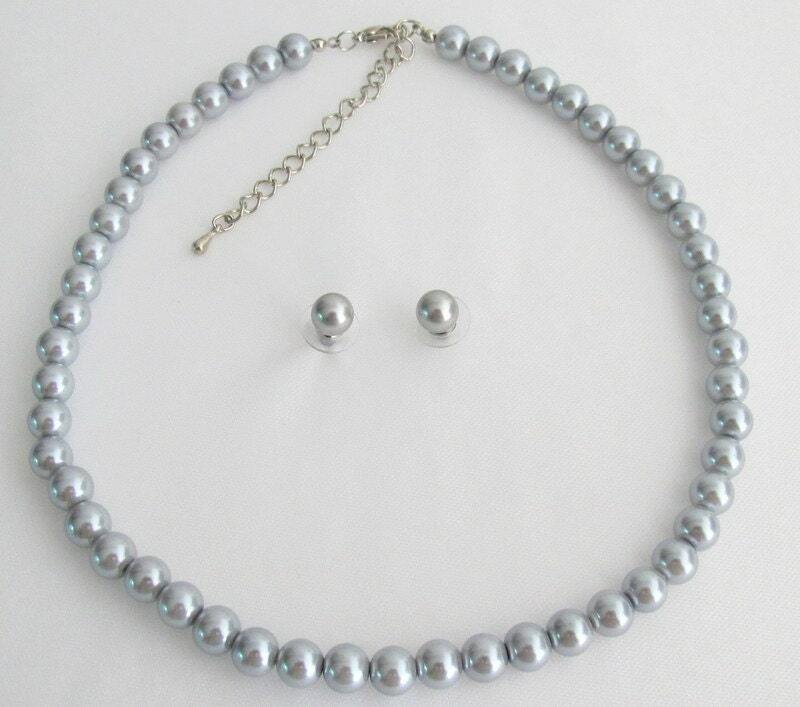 Jewelry is Hand Made this set is made of lustrous Silver Gray pearls Necklace with Stud Earrings is Dramatic historically inspired evening & perfect for proms bridesmaids or any special event! 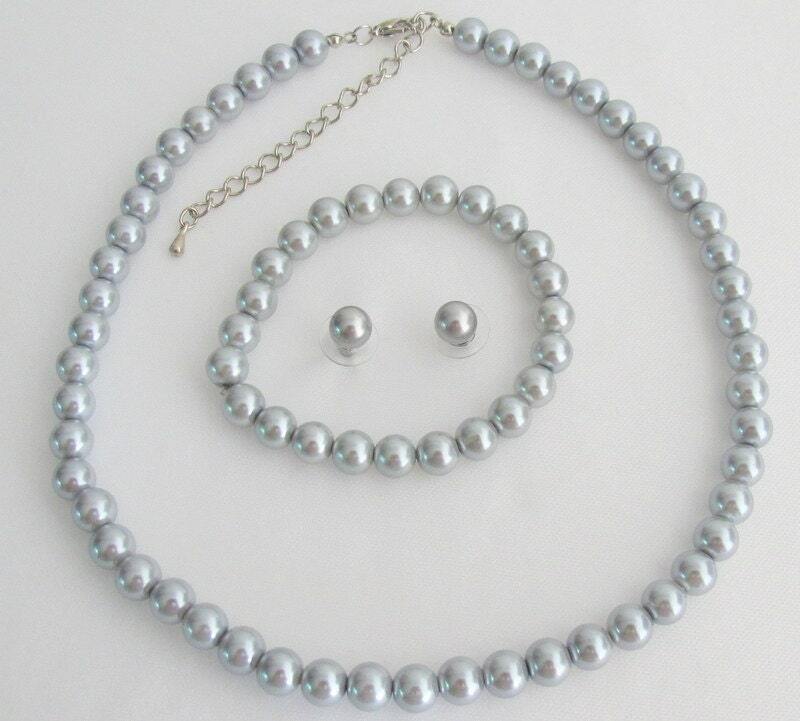 Each piece of jewelry is timeless & made with the finest Pearls. I so loved it. 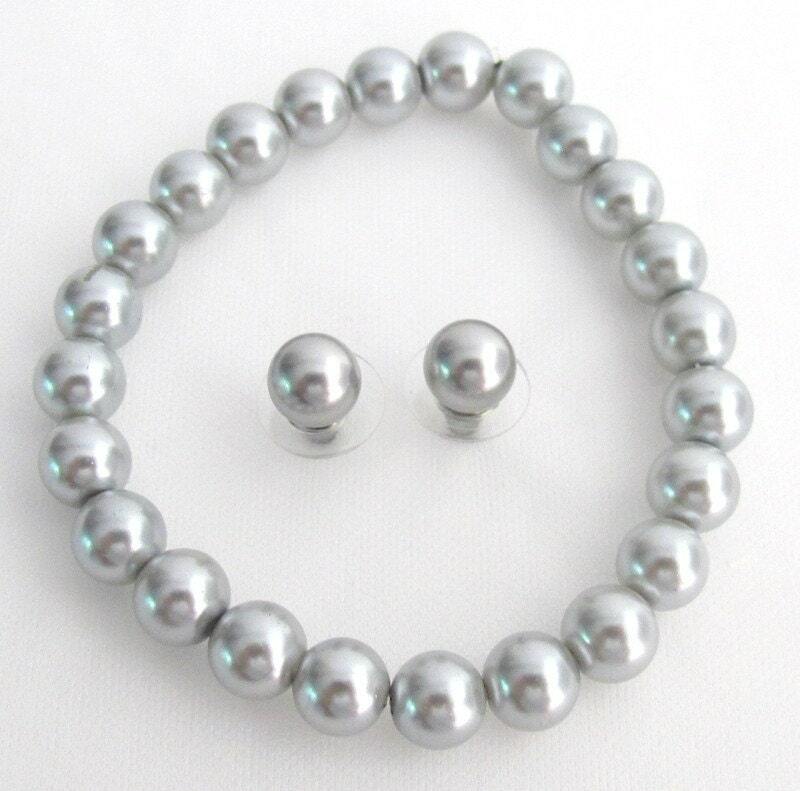 Is one of my favorite jewelry now. I purchased 7 necklaces for my bridesmaids. The color isn't exactly what I was expecting (it's a little darker and has a bit of a blue tint), but I am very pleased with how they turned out. The quality is great for the price, and the seller was very easy to work with!